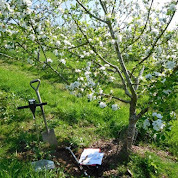 Based on our experience of growing and using our own firewood here at Ragmans Lane Farm, we will show you our plantations and systems and discuss how they can be transposed into your situation. The emphasis of this day will be on the practicalities. Over the day we will cover site selection, suitable willow varieties, planting, pest control, harvesting, storage and types of stove. By the end of the course each participant will be able to design, establish and harvest their own 5 year rotation Firewood Growing System. Participants will receive handouts with instructions and diagrams to take home.